Ruffled feathers and raised haunches aside, Fendi launched its Fall/Winter 2011 collection in Seoul on Thursday night without a hitch. After weeks of drama that nearly led to the show’s cancellation, the Italian fashion house acceded to the city’s request to trim the fur from its catwalk. 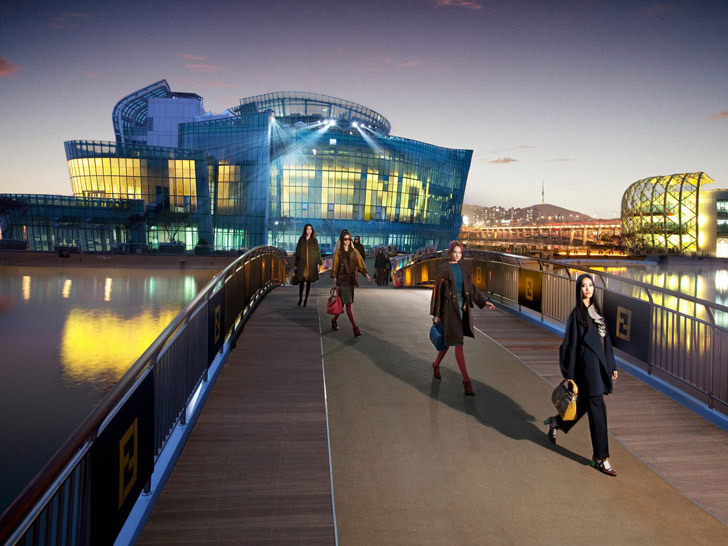 Seoul officials initially balked after animal-rights activists threatened to protest at the unveiling of Floating Island on the Han River, the event’s venue, but Fendi insisted that fur was part of its DNA. Facing an impasse, the opposing sides struck a compromise: Fendi would replace a portion of its befurred garments with less-controversial accessories and establish a scholarship program for South Korean designers. Only then would the show go on. And eventually, it did. More than a dozen fur pieces remained, however, and anti-fur protestors briefly disrupted the start of the show. About 200 activists rallied outside the new Floating Island Cultural Center brandishing photos of skinned animals and chanting “no fur, no Fendi.” One sign in English read, “Fendi kills animals for money.” When Silvia Fendi, the company’s creative director, arrived, she was pummeled with jeers. She told WWD, however, that she understands their ire. South Korea is one of the largest markets for Fendi’s fur, second only to Italy, according to CEO Michael Burke. South Korea is one of the largest markets for Fendi’s fur, second only to Italy, according to CEO Michael Burke. More than 1,500 companies traffic in the country’s multibillion-dollar industry, with wealthy Koreans paying as much as $200,000 for a fur coat. 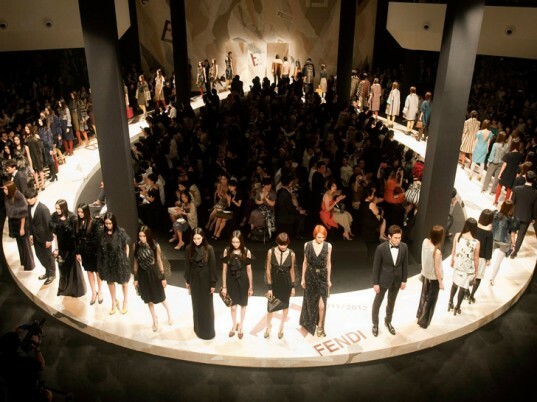 So despite outward hostilities, Fendi expects to triple its 2010 sales in South Korea by year’s end. For a country that’s no stranger to schisms, the issue of fur couldn’t be further from resolution. Ruffled feathers and raised haunches aside, Fendi launched its Fall/Winter 2011 collection in Seoul on Thursday night without a hitch. After weeks of drama that nearly led to the show's cancellation, the Italian fashion house acceded to the city's request to trim the fur from its catwalk. Seoul officials initially balked after animal-rights activists threatened to protest at the unveiling of Floating Island on the Han River, the event's venue, but Fendi insisted that fur was part of its DNA. Facing an impasse, the opposing sides struck a compromise: Fendi would replace a portion of its befurred garments with less-controversial accessories and establish a scholarship program for South Korean designers. Only then would the show go on. And eventually, it did.